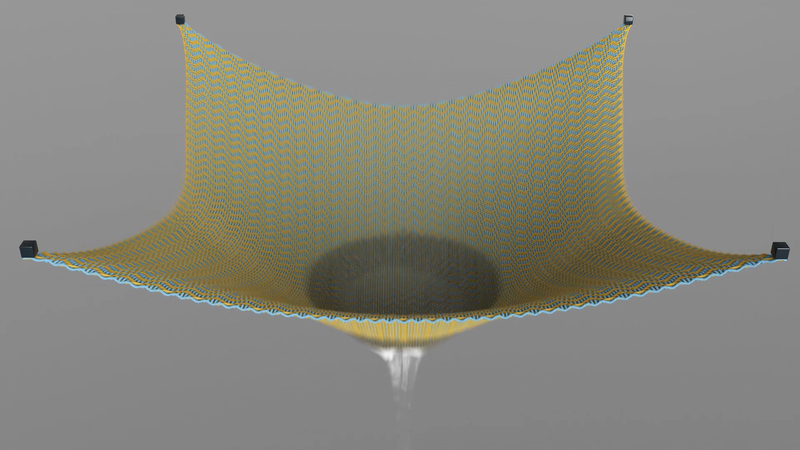 We propose a method for simulating the complex dynamics of partially and fully saturated woven and knit fabrics interacting with liquid, including the effects of buoyancy, nonlinear drag, pore (capillary) pressure, dripping, and convection-diffusion. 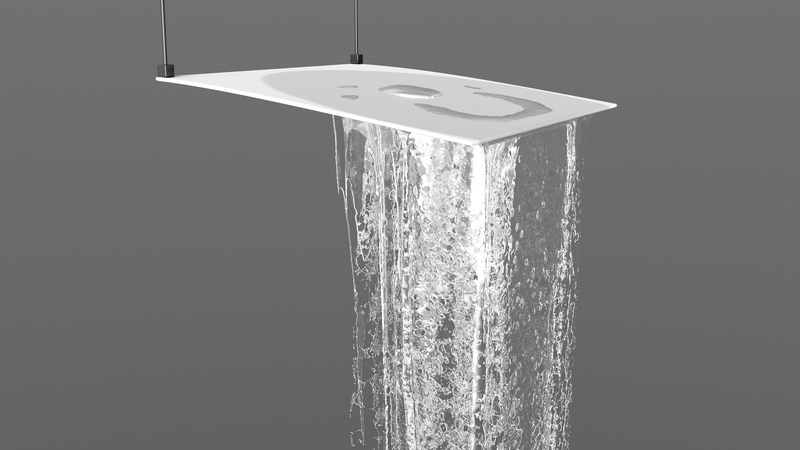 Our model evolves the velocity fields of both the liquid and solid relying on mixture theory, as well as tracking a scalar saturation variable that affects the pore pressure forces in the fluid. 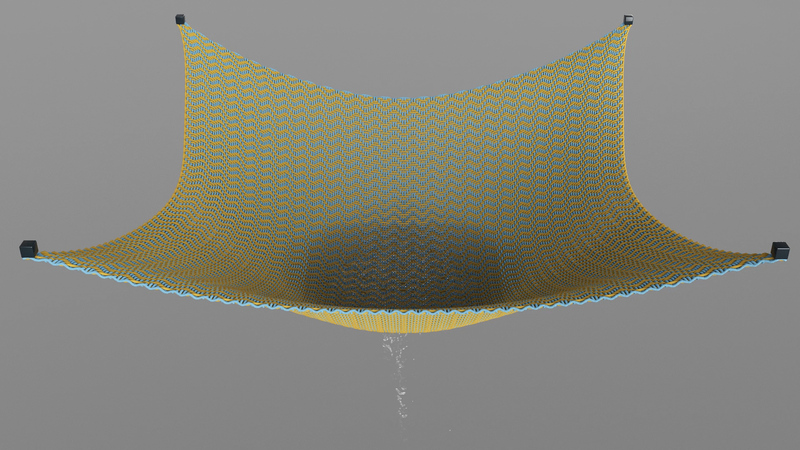 We consider the porous microstructure implied by the fibers composing individual threads, and use it to derive homogenized drag and pore pressure models that faithfully reflect the anisotropy of fabrics. 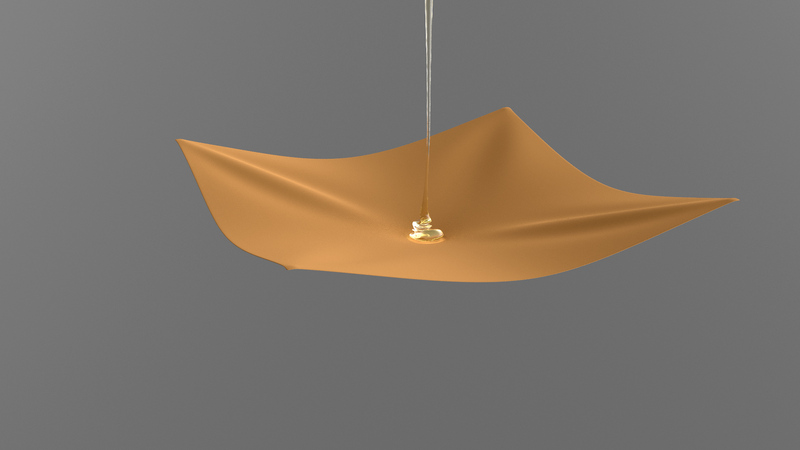 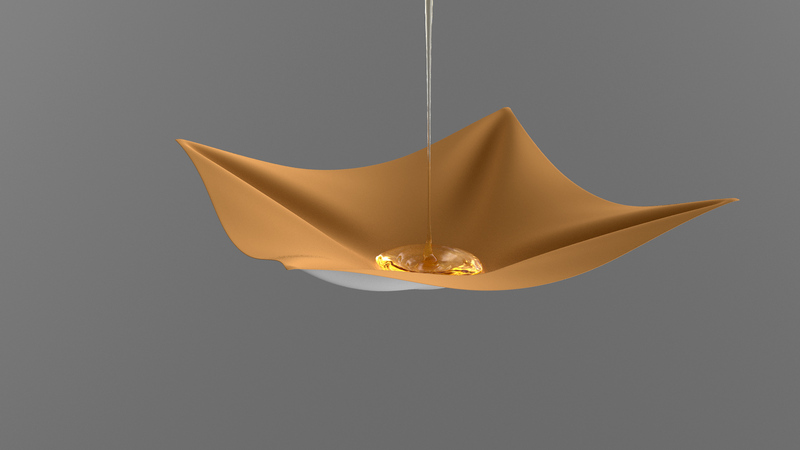 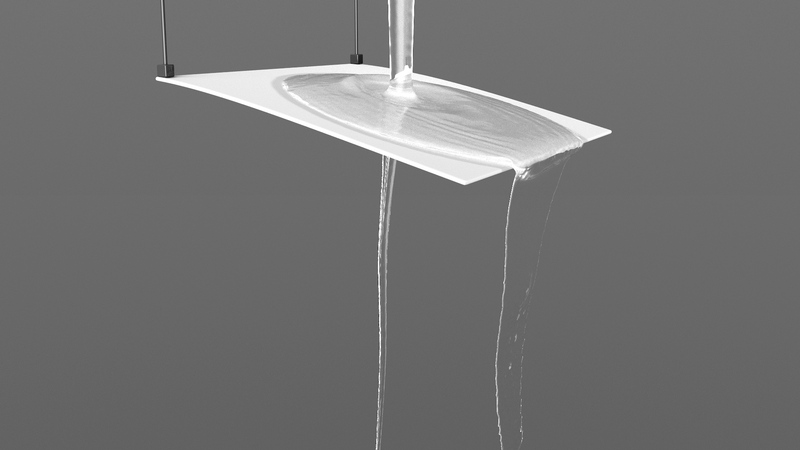 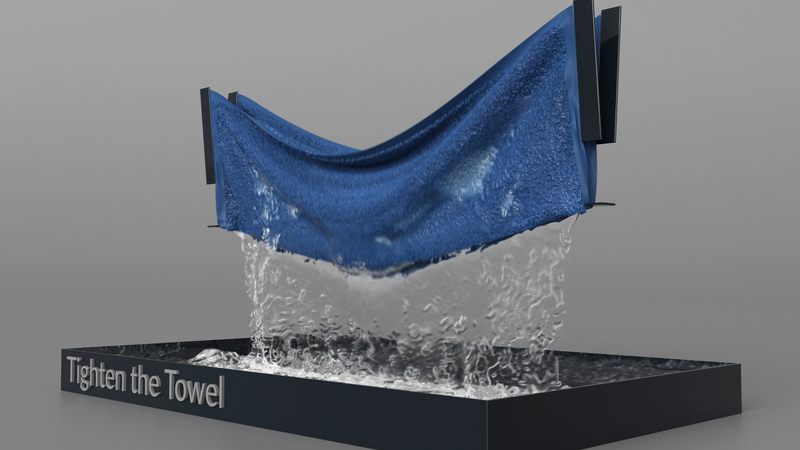 In addition to the bulk liquid and fabric motion, we derive a quasi-static flow model that accounts for liquid spreading within the fabric itself. Our implementation significantly extends standard numerical cloth and fluid models to support the diverse behaviors of wet fabric, and includes a numerical method tailored to cope with the challenging nonlinearities of the problem. 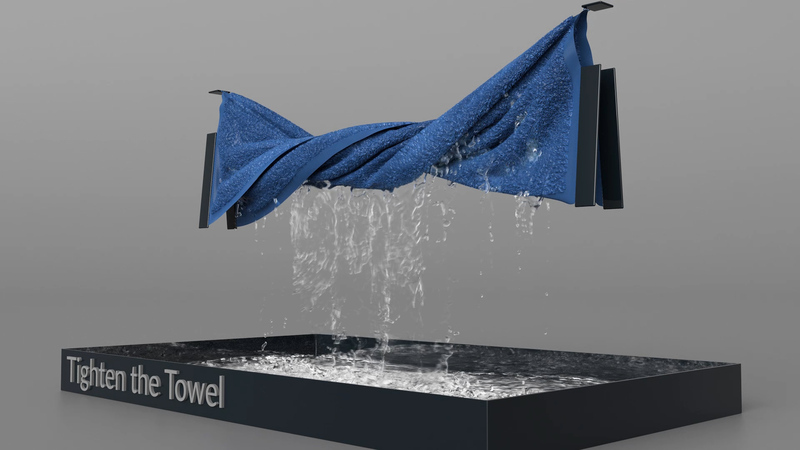 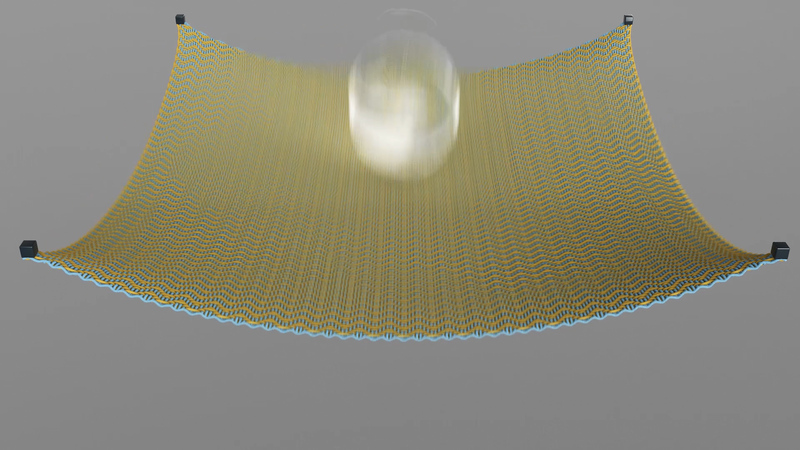 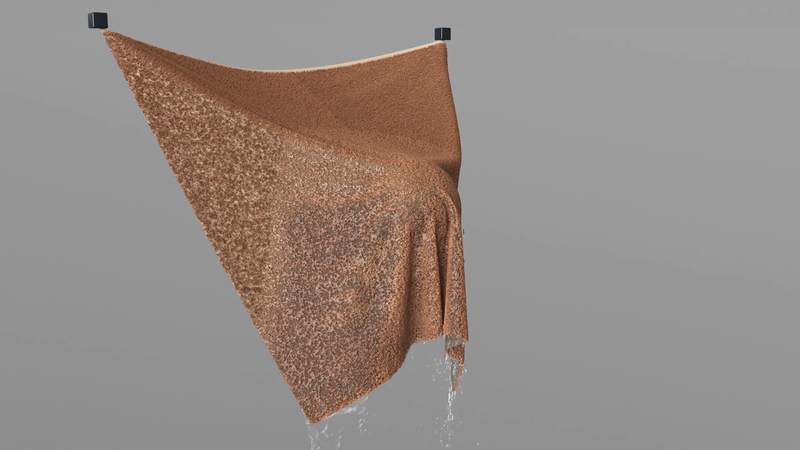 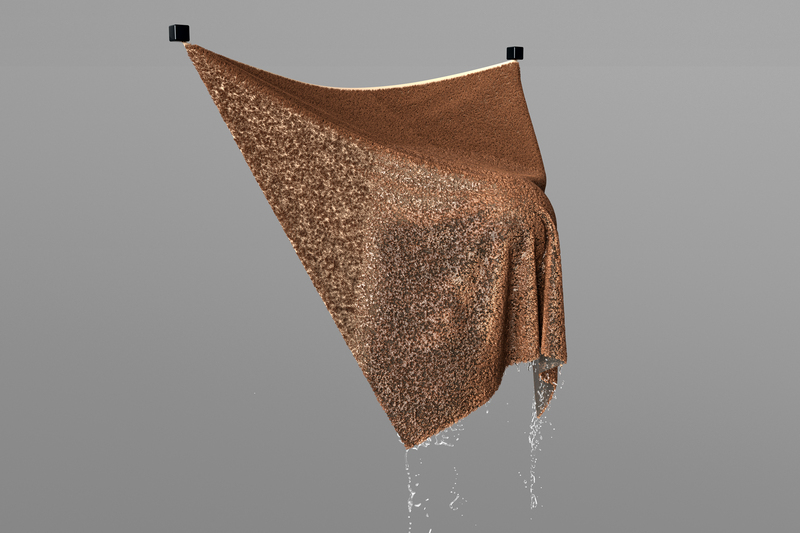 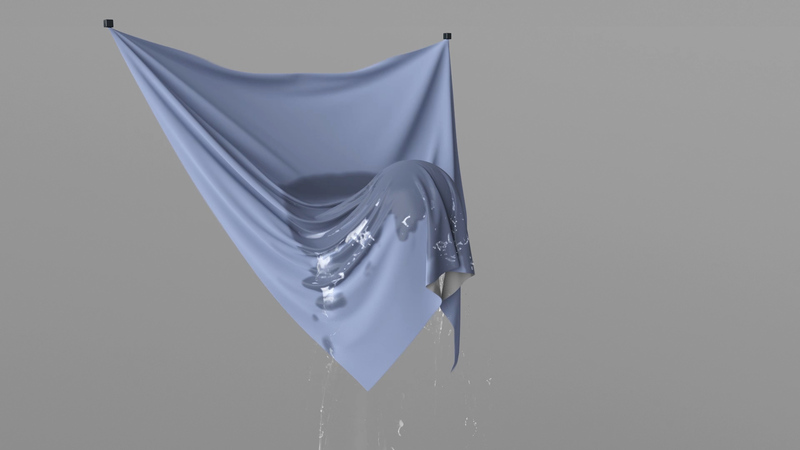 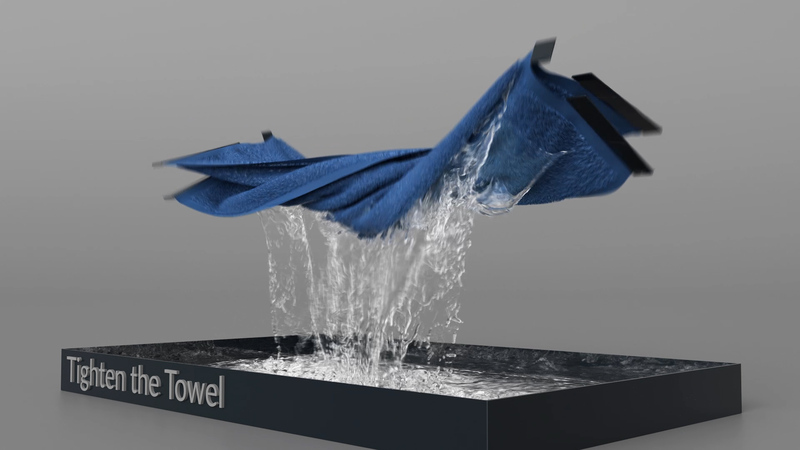 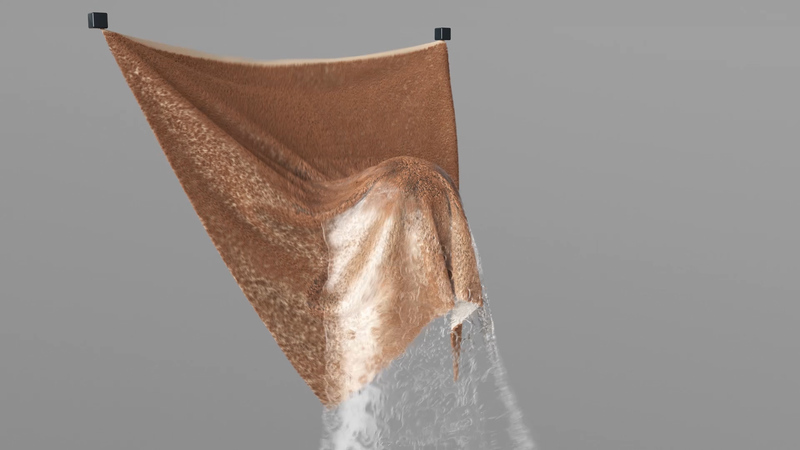 We explore a range of fabric-water interactions to validate our model, including challenging animation scenarios involving splashing, wringing, and collisions with obstacles, along with qualitative comparisons against simple physical experiments. 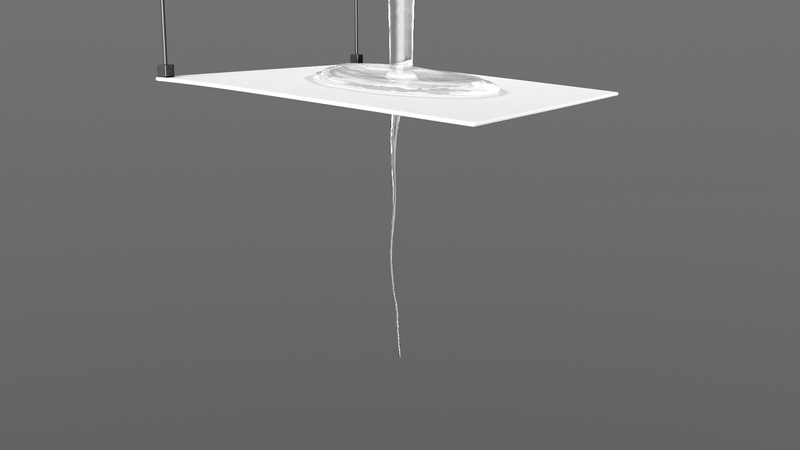 This work was supported in part by the National Science Foundation under Grant Nos. 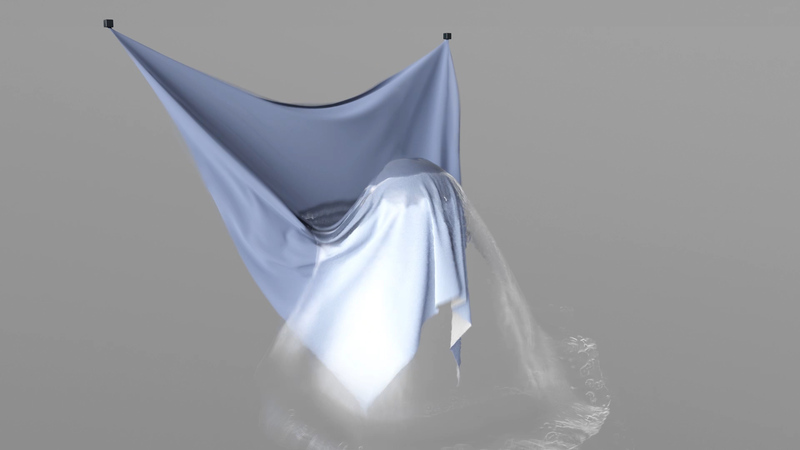 :1717178, 1319483, CAREER-1453101, the Natural Sciences and Engineering Research Council of Canada under Grant No. 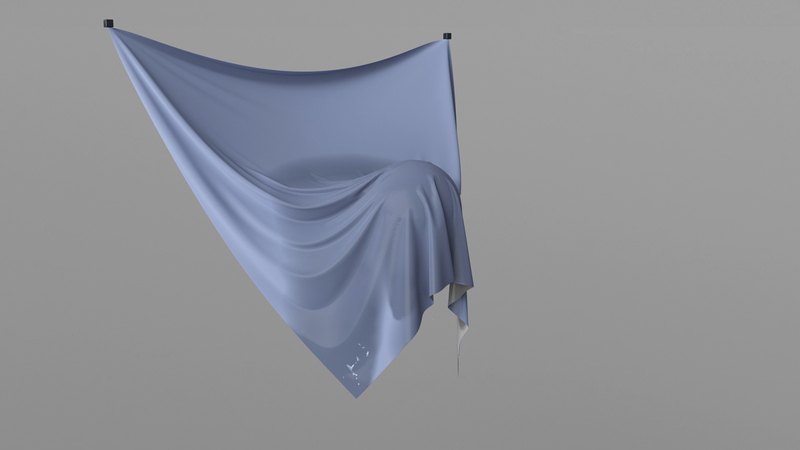 RGPIN-04360-2014, SoftBank Group, Pixar, and Adobe. 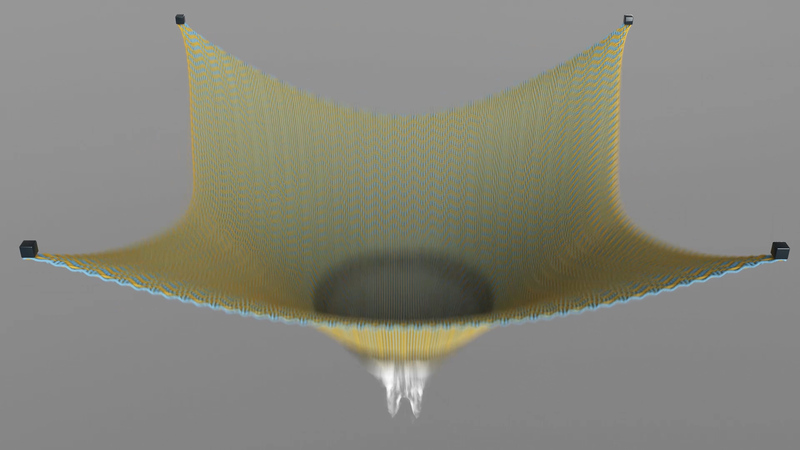 We also thank Gilles Daviet and Peter Yichen Chen for insightful discussions, Chang Xiao, Henrique Maia and Oded Stein for their assistance, Gabriel Cirio for his cloth implementation, Xinxin Zhang for his AMGPCG pressure solver, Robert Lane and Jorge Espinoza for their help on storage and computational devices, and Cristin Barghiel and Julie Lottering for their continued generous contribution from SideFX. 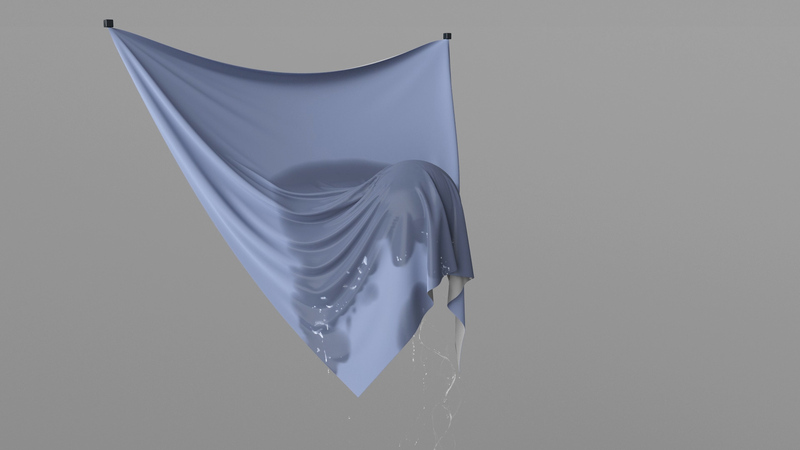 © libWetCloth.info, 2018. 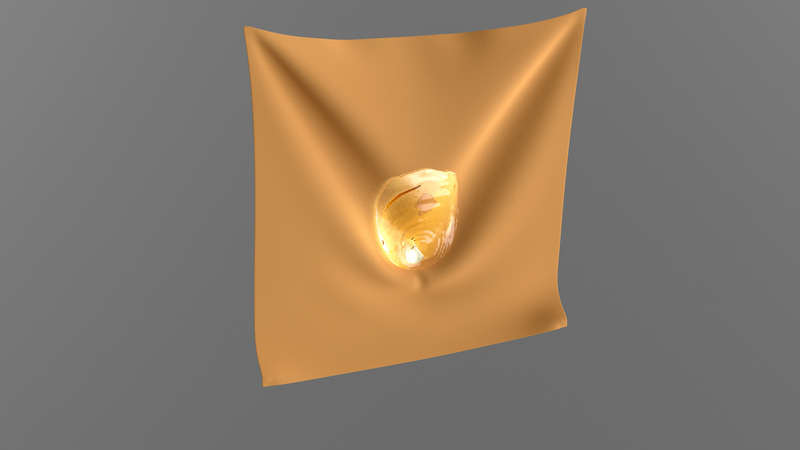 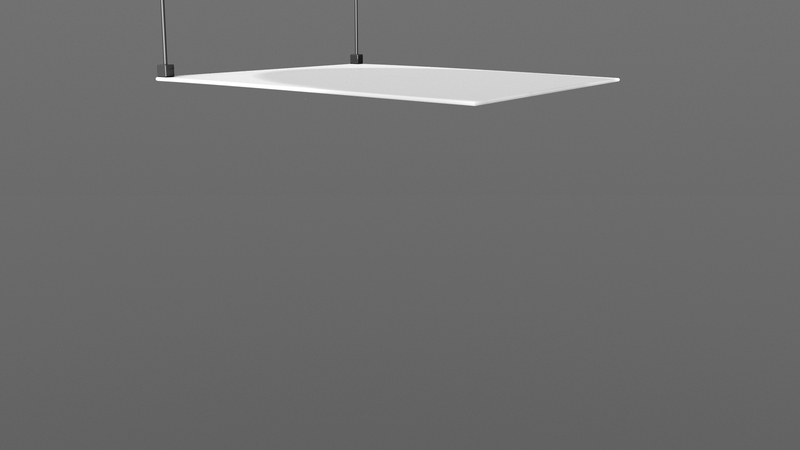 All images and videos are licensed under CC-BY-SA 4.0.